Every market, there will be a fun craft for your kids to come and do with our market assistant while you can look around the market a bit! Missed it? The same activity will be posted right here with a step by step tutorial so you can do it at home, along with other fun ideas! 1. Paint and decorate the clothes pin and 2 1/2 popsicle sticks (cut the third popsicle stick in half). 3. 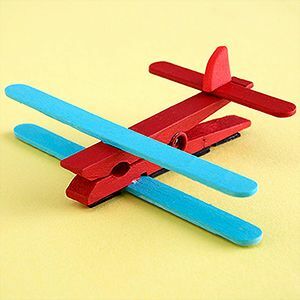 Pin up your airplane or glue magnets to the bottom so you can put it on your fridge! 1. 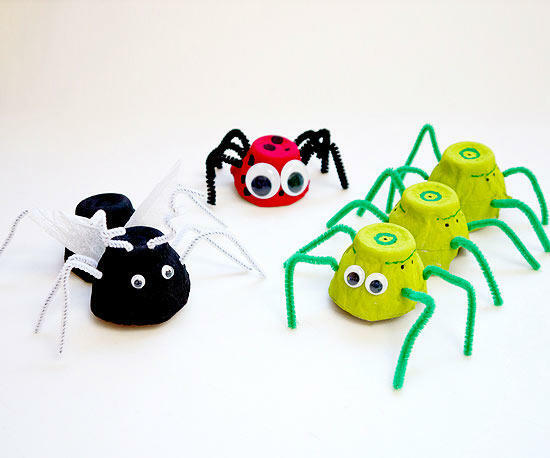 Cut out the egg cartons and either cut out the cups together for the long bugs, or glue them together later. Make sure they are clean cut! 2. Paint up your bugs the colours you want! 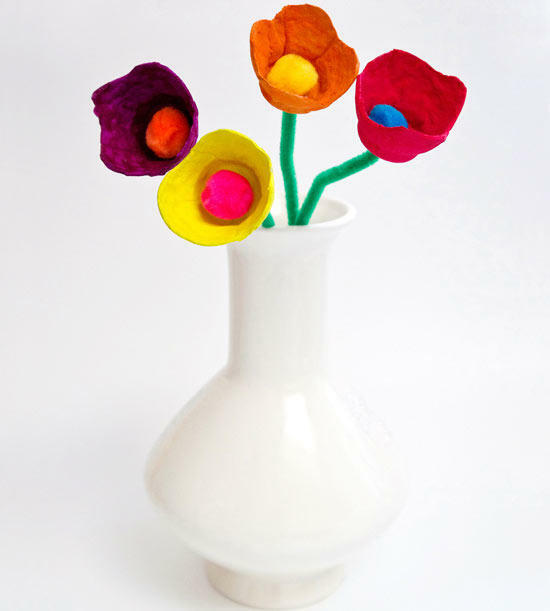 Make lady bugs, caterpillars, ants! 3. Once they're dry, glue the googly eyes where you want! Next, poke a small hole where you want the legs to come out of and weave the pipe cleaners through. Make a small bend/ball at the end of the pipe cleaner inside the cup so you cannot see it from the outside. 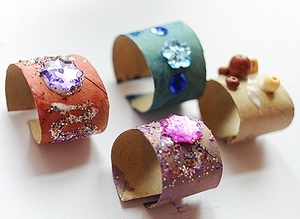 bend the legs the way you wish and have fun with your recycled creatures! 1. Start by cutting a semi circle to make the hat. this shape might need adjusting to make it the size and hight you like. Use hot glue or a few staples to make it into a cone. leave a small hole on the top when folding. This will be for the pompom. 2. Use the hole puncher to make two holes on opposite sides on the bottom of the cone. Cut 2 elastic bands and tie each one to the hole you made and tie the two ends together to make the chin strap. 1. To begin, tie a loop around your 3 fingers (4 for tiny hands!) with the yarn. Wrap the yarn loosly (to not cut off circulation) over and over until you think its enough. Wrap more for a fuller pompom, less for a more bare one. 2. Pull the yarn off your hand and be careful to not unravel it. The string will look like an "O". Make a VERY tight knot around one side of the "O". Now take the string that made the knot and tie it around the middle to make the "O" into an "8". Again, make to knot very tight. Make sure before you cut the yarn, there is at lease a few inches extra. 4. Weave the long strand through the small hole we made when making the hat. Pull it through and tape the strand to the inside of the hat so it doesn't fall off. Strap it to your head and party on! 1. First, cut out carefully each individual cup from the egg carton, make sure the edges are clean and then cut 4 pedals in each corner to make it more flower-like. 3. In the middle of the bottom, pierce a small hole so the pipe cleaner can go through. Weave it through and make a small ball on the end so when you pull it, it doesn't go back through. Hot glue it to keep it still and place a pompom on top. Bunch them together and put them in a vase or decorate with them! 1. Glue 2 popsicle sticks together to make them cross in the middle. 3. Continue around each of the 4 points until you reach near the end of the sticks, or want to switch colour. Switch colour- tie the end of string in use to the end of new colour. Continue as normal. Finish- place your finger on the string on the popsicle so it doesn't move. With the other hand, make a long loop with the string and wrap the string around the bottom until you think it's tight enough. 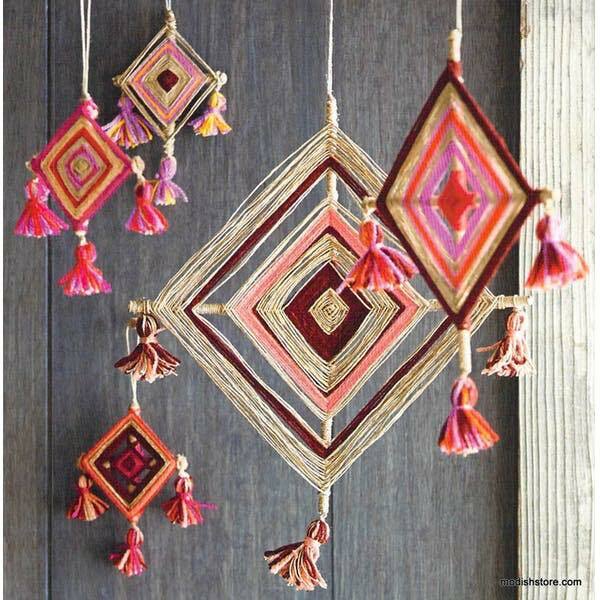 This will be how you hang your god's eye! Tie a knot so it doesn't unravel and hang it up! 1. First, cut paper plate in half. 2. Decorate! Customize your own fan any way you want! 4. Use hot glue to glue popsicle sticks on each side on the flat side of the plate. Connect popsicle sticks so they create a "X" shape on the bottom of the plate. Wait for it to dry, and your done! 1. Follow instructions provided in weaving kit for beginning. 2. 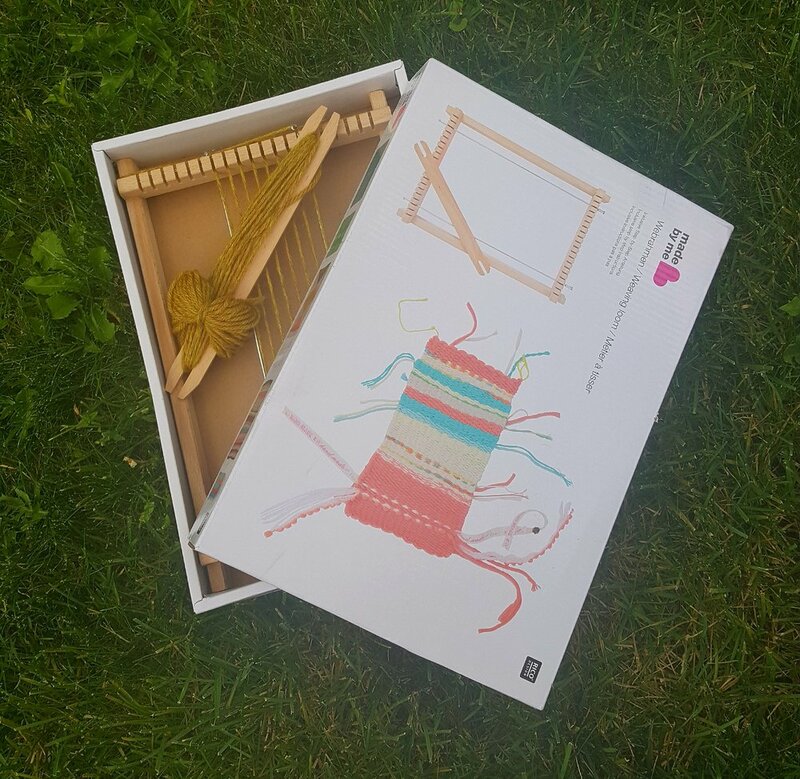 Use as many colours as you want by tying the new colour of yarn to the end of the yarn you started with, cut off excess and continue. 3. You can get creative with beads, ribbons, length or width! 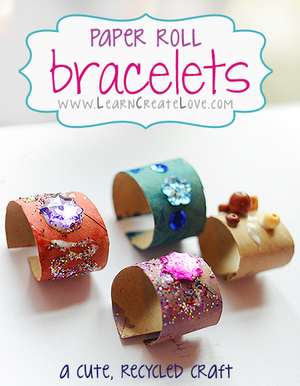 You can tie it together and make a bracelet, or leave it for a nice wall hanging or a book mark! 1. To start, cut the paper rolls along the side. Then you can cut strips out horizontally to the width of the bracelet you like. 2. Get creative! Add all the paint, glitter, sequins that you like! You can make glitter shapes by painting on the shape you like with glue and pour glitter on it then brush away the extra. 1. To start, cut the coffee filter in half along the rim to create the wings. Now colour away! Make some awesome designs to your hearts content! After you are happy with what the wings look like, you can drop water or rubbing alcohol so the colours spread. This step is optional if you don't mind getting a little messy! 2. Next, get a clothespin and clip the inside of the wings so they bunch up a little. On the clothes pin, you can glue on the googly eyes and a pipe-cleaner shaped like a "V" to the top to create the antenna! 3. 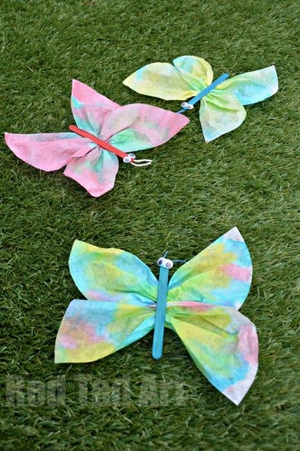 Make finishing details and you can hang up, decorate or give away your beautiful finished butterflies!